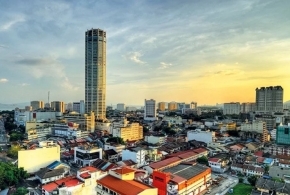 Penang, Malaysia: Only $278 per pax for 3D2N stay at 5-Star Four Points By Sheraton + Return Flight by SilkAir + 30kg Baggage Allowance + Daily Breakfast + 2 way Airport Transfer. Min 2 to go. Four Points by Sheraton Penang features elegantly furnished guestrooms. It boasts of a spacious outdoor swimming pool and a fitness centre. Four Points by Sheraton Penang is located only a 10-minute drive away from Straits Quay Mall and Convention Centre. 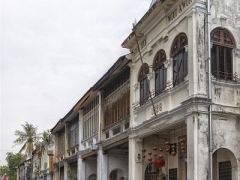 The famous Georgetown is a 20-minute drive away and Penang International Airport is a 35-minute drive away. Cosy air-conditioned rooms feature modern interiors and furnishings. Each room is equipped with a personal safe and flat-screen satellite TV. Tea/coffee making facilities are provided.